Preparing for an interview on SEO? Here are the most commonly asked technical SEO questions and the answers that you can give and excel at your interview. 1. What is SEO and introduce its types? SEO stands for search engine optimization and refers to activities that websites take both on-page and off-page to rank higher on Search engine platforms. The search engine results are natural or organic and drive traffic to the website. SEO is important for a website to build a strong foundation with its content and a strong user base. The ranking is important to drive user traffic to the website. 2. What is on-page and off-page SEO? On-page SEO consists of steps, methods, and actions taken within the website to increase its ranking in search engines and also to internally make it perform better. OFF page SEO consists of external methods, and actions taken for a website to increase its ranking in search engines. 3. What is a Search Engine? 4. What are the SEO tools do you use? 5. What do you mean by Backlink? Backlinks are incoming links for a webpage. When a webpage links to a different page it is known as a backlink. Outbound links are links present on your website when clicked lead visitors to a different website. 7. Can you tell me something about Googlebot? 8. What is the main purpose of using keywords in SEO? A search engine finds and ranks the websites with relevant and closest keywords by indexing and crawling. Therefore having as many relevant keywords with your website with context leads to a higher ranking. 9. How many types of Meta Tags are there in SEO? 10. How many characters limit in a Meta Description tag? The character limit in a meta description tag is somewhere around 150-320 characters as per google guidelines of 2018. 11. Tell me something about Black Hat SEO? Blackhat SEO or unethical SEO are methods which use aggressive means to rank a website in a search engine and are illegal in nature. 12. Name few Black Hat SEO techniques? 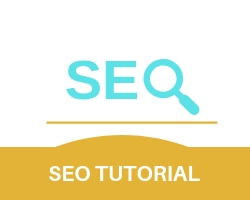 Methods such as keyword stuffing, page swapping, invisible text and adding irrelevant keywords are some of the most common Black Hat SEO techniques. 13. Can you differentiate between ‘nofollow’ and ‘dofollow’ link? A nofollow link is a link on a webpage or a document which has an HTML tag of nofollow which means that a search engine crawler will not follow the webpage associated with the link and will not count it for page ranking. whereas a dofollow link is a link on a webpage which advises the search engine crawler to follow the webpage associated with the link and count it for page ranking. 14. What is the difference between PR (page rank) and SERP (Search engine result page)? PR which stands for page rank is the factor a search engine uses to determine a website’s position and rank on its platform. SERP’S or Search engine result pages display the rankings of web pages based on their page ranks. 15. Why is the Title Tag of a website is valuable? The title tag is valuable because it tells the purpose of the website and this allows the user to check the relevancy of the webpage. 16. What do you know about LSI? LSI stands for Latent Semantic Indexing and is established to get data by relating the word to its closest counterparts. 17. What are Heading tags? Tags used to create heading for blogs, articles etc are known as Heading tags. there are 6 types of header tags ranging from h1 to h6. 18. What are long tail and short tail keywords? 19.What is the meaning of competitive analysis? 20. What is 301 and 302 redirect? 301 and 302 redirects are permanent and temporary redirects that are used to shift one URL of a web page to another web page. A canonical URL is a URL that you want visitors to see basically, it is a search engine friendly URL that you want the search engines to treat as authoritative. 22. What is image alt text? Alt text is an attribute added to an image in HTML. appearing inside the image container when the image can not be displayed. 23. What are inbound and outbound links? Outbound links are links present on your website when clicked lead visitors to a different website, whereas inbound links lead visitors to pages inside your webpage. 24. What is keyword density? Keyword density refers to how often a search term appears in a text in relation to the total number of words it contains. ROBOTS.TXT is a text file webmasters create to instruct web crawlers how to crawl pages on their website. 26. What is the latest update in SEO? Google Hummingbird Update is the latest update in SEO. 27.Mention which is the most important area to include your keywords? The title, heading, and meta descriptions and the first paragraph of your content. 28. What will you do when 404 page occur? Switch the 404-page error to 301 or a 302 redirect is the first method, otherwise create a customized error screen and provide suggestions. 29. What is content marketing? 30.Some Off-Page SEO techniques what you have used?